Since 2009, the North Carolina Interagency Leadership Team (ILT) has been looking at how multiple government agencies could consider potential climate and extreme weather event impacts on their areas of responsibility. 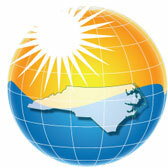 In March, 2010, the ILT hosted a workshop “Planning for North Carolina’s Future: Ask the Climate Question.” Four hundred-forty individuals participated in this workshop. To consider risks and vulnerabilities related to changes in the climate and to build resilience, the ILT promotes collaborative and integrated planning at the federal, state and local levels. Planners, engineers and policy-makers will need to have the best information, as it evolves, to consider and evaluate strategies to ensure limited funding is used cost effectively to achieve overall site, locality, resources and infrastructure goals and objectives. When making decisions, it will be essential to have the best information available to help practitioners as they “ask the climate question” in all planning areas. Because this ILT project focuses on North Carolina, the effort has been led by the state agencies, while being supported by the federal agencies. Our state members are the North Carolina Departments of Environment and Natural Resources, Transportation, Commerce, Cultural Resources, Agriculture and Consumer Services, and the Wildlife Resources Commission. Federal members include Environmental Protection Agency, Federal Highway Administration, U.S. Department of Commerce /NOAA Fisheries, U.S. Army Corps of Engineers, and U.S. Fish and Wildlife Service. The ILT has included contributions from the Division of Emergency Management (Department of Public Safety), Division of Public Health (Department of Health and Human Services), and the Department of Insurance in our collaborative process. The Climate-Ready North Carolina strategy discusses how our state can proactively prepare for projected impacts of climate variability and weather extremes on our economy, infrastructure and natural resources. The strategy outlined in this report provides a framework for collaboratively planning an integrated climate adaptation response for North Carolina. While further effort will be needed, it represents a step toward protecting our state from climate- related hazards. This strategy neither deals with greenhouse gas reduction efforts nor recommends any new regulations. Further, by supporting this report, the member agencies of the ILT are in no way executing any authorities, approvals, or allowances with which their agencies are charged. Nothing in this report is intended to diminish, modify or otherwise affect the statutory or regulatory authorities of the agencies involved. Through the strategies outlined in this report, the N.C. Interagency Leadership Team will continue to work together in support of resilient communities across North Carolina.